On a recent assignment to Moscow, I stood on a bridge less than a mile from the Kremlin and watched Google Maps on my iPhone focus on that same airport -- about a 45-minute drive away from me. Nothing I did would reset it. There has been no official confirmation from the Russian authorities that they are behind this. Speaking to Russian news agency TASS in October, Kremlin spokesman Dmitry Peskov said he had also experienced the signal jump while driving, but referred all queries to the Russian Federal Protection Service, which is charged with protecting the Kremlin. That agency would not comment. Todd Humphreys, a professor at the Radionavigation Laboratory at the University of Texas at Austin and a leading authority on GPS security, says this is a clear example of GPS "spoofing." Unlike jamming, which denies access to a signal, spoofing is when a louder signal is created to fool devices into thinking they are somewhere else. Commercial drones -- which have recording and surveillance capabilities -- have become increasingly popular. Humphreys is one of several experts we spoke to who are convinced this is an effort by the Kremlin to deter drones from flying overhead. Many commercial drones have no-fly-zones -- like airports -- pre-programmed in, so using the airport as a decoy would force the drone to reroute or land. However, Humphreys says this is a risky tactic. Last year, after a drone landed on the White House lawn, Humphreys testified before Congress and advised them against doing something similar. With Reagan National Airport just five miles from the White House, he felt the risk that aircraft could also be "spoofed" as they take off or come in to land was too great. They could land in the wrong place, or be redirected into the path of other aircraft. Moscow's airports are further away, but Humphreys believes there's still a risk. How far does the "spoofing" go? While no one has produced a comprehensive map of how far and wide this strange GPS activity extends, Grigory Bakunov, an employee at Russian internet giant Yandex, conducted his own experiment earlier this year. 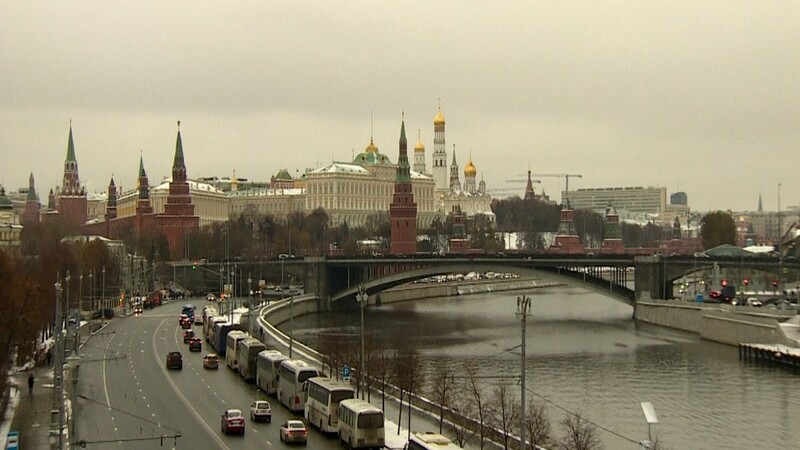 He took his Segway out around central Moscow with a collection of devices that detect GPS signals. He found that maps were intermittently affected -- the location shifted sporadically to Vnukovo airport. He found the incorrect signal was strongest the closer he came to the Kremlin walls, and weakened further away. How easy is it to pull off? However, experts say that the technology needed to spoof a signal is actually becoming more readily available. Logan Scott, a consultant specializing in systems signals, says this can be achieved with a GPS signal generator -- these are manufactured as testing equipment and can be bought online. To create the effect observed around the Kremlin, says Scott, all someone would need to do would be to take one of these generators, attach an amplifier and antenna and start broadcasting. If this was the Kremlin's doing though, experts say they may not have needed to go shopping for generators. Over the past few years, Russia has invested heavily in electronic warfare, says Sim Tack, a senior analyst at Stratfor and expert in the Russian military. There were widespread reports of signal jamming in eastern Ukraine, and just this summer, Russia unveiled a new device it had developed called the Pole-21, which can be attached to cell towers and used to jam GPS signals.